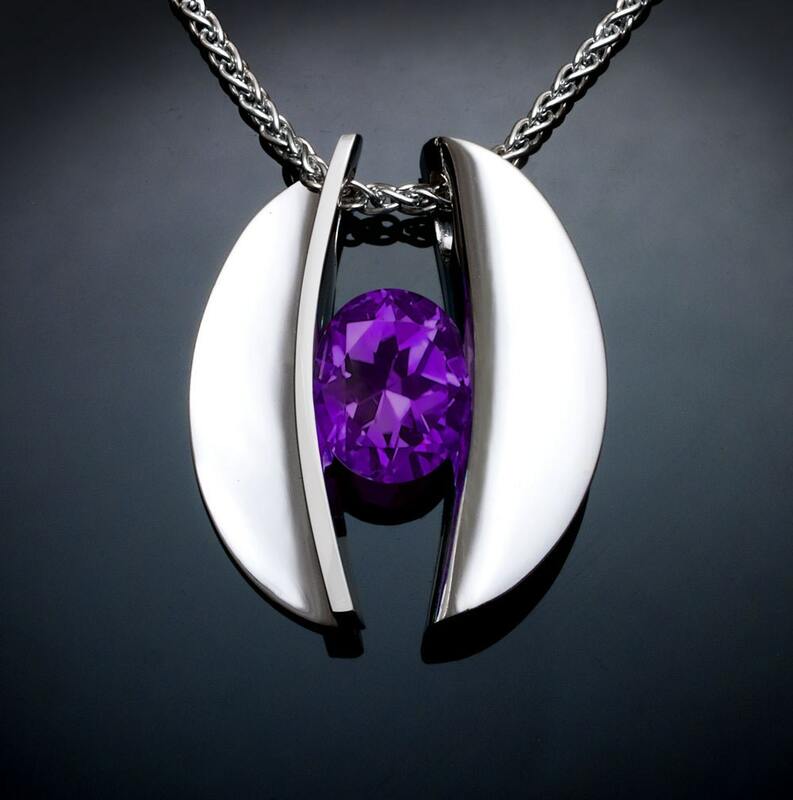 Make a bold statement with this cutting edge design by award winning jewelry designer, David Worcester. This pendant measures 27mm X 23mm or 1 1/16" X 7/8" and holds a beautiful 10X8mm AAA Amethyst. 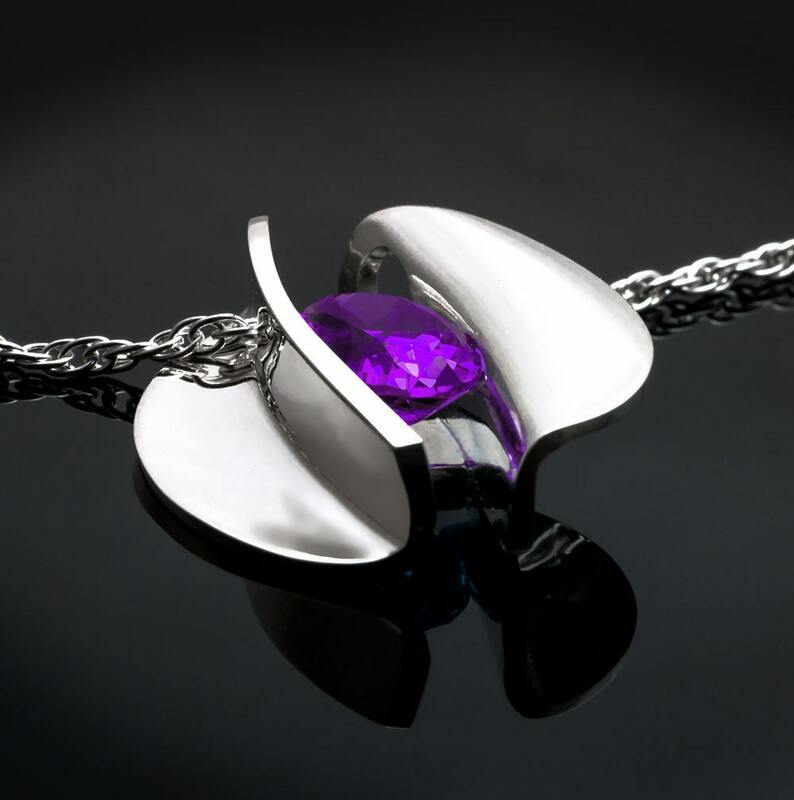 One of my first designs just for argentium silver, and still a favorite of mine, I reversed the identical form on the right and left sides of this piece. 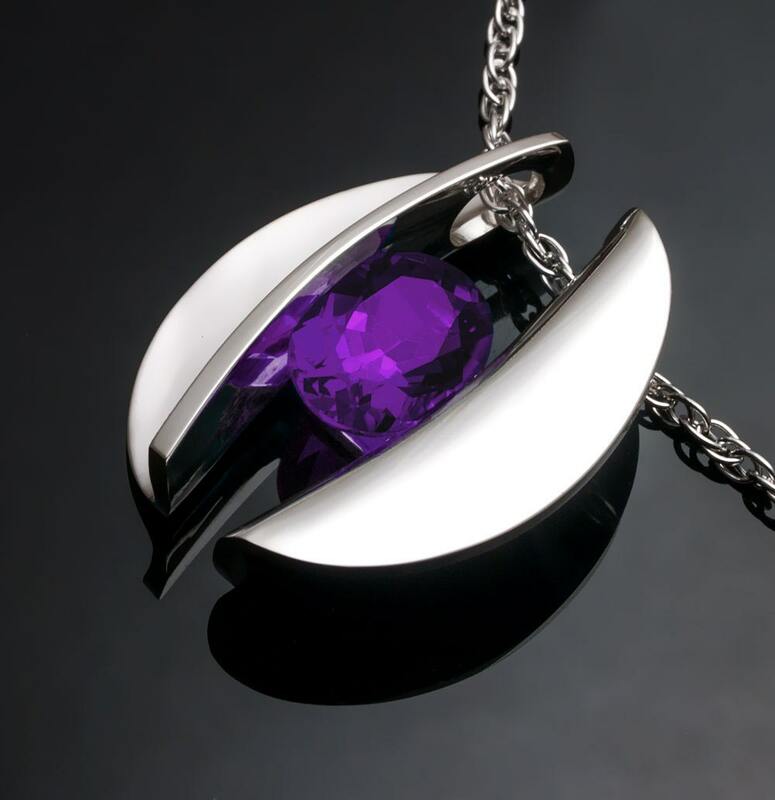 From the back, the pendant is just the same as the front, except for a bridge that holds the two halves together, providing the strength to secure the stone. The artist reserves all reproduction rights. No work may be reproduced in any manner whatsoever without expressed, written consent of the artist.whatsoever without expressed, written consent of the artist. 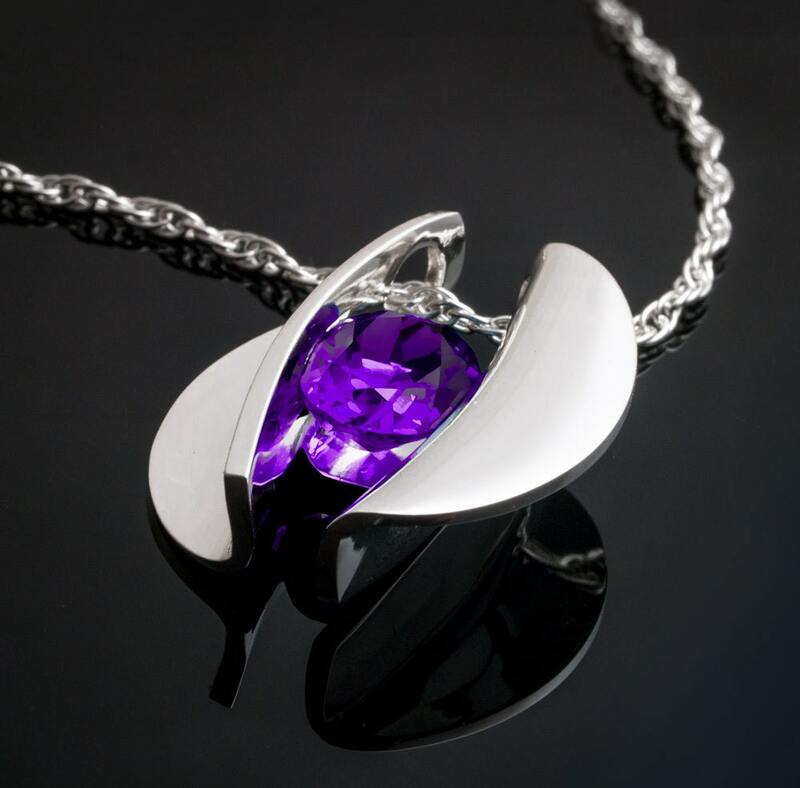 This item is beautiful It's prettier than the picture and very well made. This shop is courteous and professional. They will send your order asap. You will love this merchandise. I can't recommend them enough.